Holy Ghost! is an electro/disco group from New York, New York that formed in 2007. The group consists of childhood friends Andrew Millhiser (drums) and Alex Frankel (vocals), who were former members of hip hop group Automato. Recording with live drums and vintage synthesizers, Holy Ghost! has a sound that fuses classic '70s disco with modern dance sensibilities. 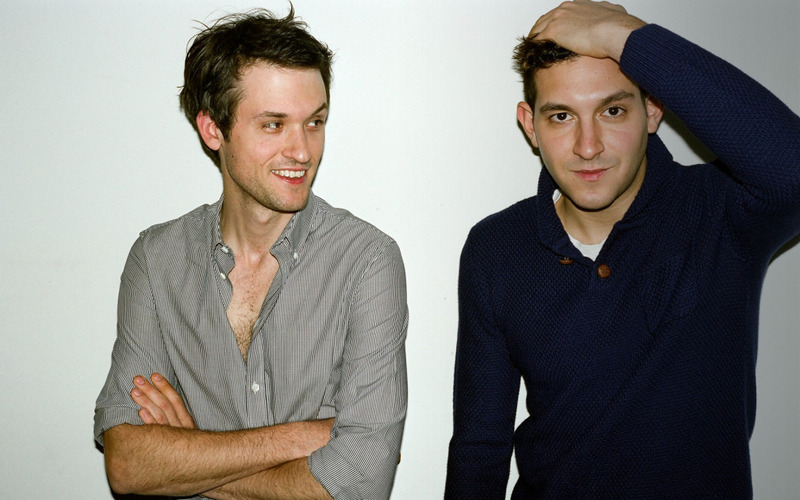 Since releasing their first single in 2007, "Hold On," Holy Ghost! has released six further singles and a number of remixes for bands such as MGMT, LCD Soundsystem, Phoenix and Moby. Their debut LP Holy Ghost! was released in 2011 on DFA and Virgin Records. Holy Ghost! recruited a band in 2010 for live shows, and they are currently on tour. Maybe you think heavily 80s inspired electro is a guilty pleasure, or maybe you're too busy dancing to even care. Well, fans of fun have a champion in Holy Ghost!, the band's goal seems to be making unabashedly fun dance music. Their hooky synths and house beats go down easy, without coming off as sugary or the slightest bit cheesy. Natives of New York City, the members of Holy Ghost! were lucky enough to hook up with James Murphy, main man of LCD Soundsystem and the label DFA early in their career. You can hear Murphy's fingerprints on their sound – the clipped, damn-we're-cool vocals, rock inspired drums, and muscular live feel. However, Holy Ghost! have stronger disco/house influences than their mentors. “Wait and See” kicks off with happily gurgling synths and slips into a snappy, confident verse. Nick Millhiser's vocals are clipped and funky, much like Chromeo's Dave 1 as he casually commands you to dance. Holy Ghost! bring out their hook guns for a catchy, singable chorus. “Hold On” sounds quite a bit like LCD Soundsystem with its live drum groove and dirty, squelching synth. But in typical Holy Ghost! fashion, the sweeping atmospheric keyboards and sweetly sung chorus gives it a hit of infectious house fun. At other points, Holy Ghost! jump deep into electro-funk territory. “Static On The Wire” bumps a funky bass line that could have been plucked from a Stevie Wonder track, while Millhiser's slick verse vocals rise into a falsetto climax. Holy Ghost! sound like a couple of guys that know their influences and their craft, cranking out track after track of impeccable house music. While such skilled producers often fall into the trap of tight, but uninspired compositions, Holy Ghost! 's music has that spark of exhilaration and uniqueness that make them well worth your time.